Comfort and convenience for less when you pre-book your airport hotel and parking at Liverpool with Airparks. Whether you've got an early flight and want to avoid the morning rush or you have a late arrival home, we have an excellent range of Liverpool airport hotels with parking packages that are perfect for helping start or end your trip with relaxation. We have a combined hotel and parking deal to suit every traveller and you can be sure that, when you book in advance with Airparks, you'll be getting the best prices. If you are working to a budget or simply looking to save some pennies on your stopover so you can spend them on your holiday then it might be worth looking at our top 5 Cheap Liverpool Airport Hotels. These hotels may be a little further from the airport or could have a few less facilities than other hotels, they'll still provide you with a comfy bed where you can get a good night's sleep before your flight. Liverpool airport hotels with parking at the hotel: We have a great selection of hotels near Liverpool airport that offer parking on-site. These packages are a popular choice with travellers who are drawn to the convenience of not having to worry about moving their car on flight day, and being able to keep hold of their keys. For the duration of your holiday, your car will stay in the hotel's car park, meaning you'll need to catch a transfer to and from the terminal. With most of our packages, your transfer will be by taxi. Liverpool airport hotels with off-site parking: For those who don't mind a quick drive from the hotel to the car park on the day of your flight, be sure to check out our packages with parking off-site at a secured facility, such Liverpool Long Stay, that's located opposite the terminal. With most bundles you'll park at the hotel overnight, then move your car the next day. From the car park you'll be able to walk or catch a transfer to check-in. These are a great choice for those on a tighter budget as they often throw up the cheapest prices. Liverpool airport hotels with Return Greet parking : To keep your airport experience even more hassle-free, a couple of our combined deals offer Return Greet parking, with Skypark. On the day of your flight you'll need to drop your vehicle off at the car park, then hop on a transfer bus to the airport - the journey is only 90 seconds. On your return, your car will brought to you right outside terminal, meaning you can set off home quickly. 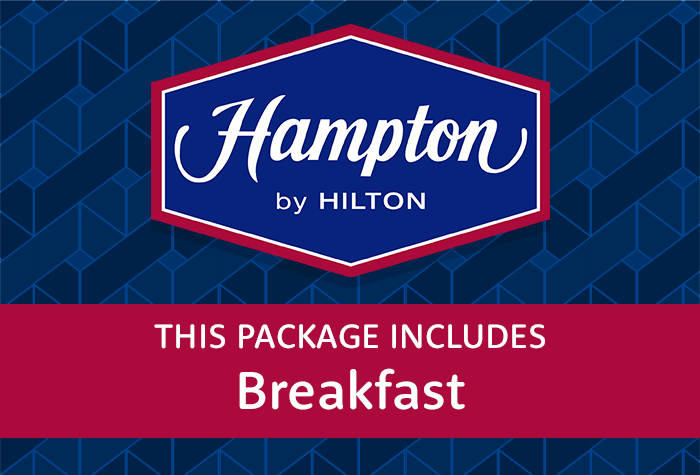 If you like the sound of staying just moments from the terminal, be sure to consider the only on-site hotel at Liverpool airport: Hampton by Hilton. The family-friendly Hampton by Hilton is located opposite the terminal, just 50 steps away from check-in, making it one of our most convenient Liverpool airport hotels. Along with all the essentials you'd expect from a 3-star stopover, there are a handful of special additions to get your holiday off to a flying start; a well-equipped gym, library and a complimentary breakfast. The bedrooms are modern and practical with blackout curtains and triple glazing to help you get a restful night's sleep, along with a flatscreen TV and free wifi for entertainment. When it comes to adding parking to you overnight stay, there are two brilliant options to choose from: off-site parking at Liverpool airport Long Stay or Return Greet parking with Skypark. Keep things quick, simple and cheap with parking at the Long Stay car park. Once you've unloaded your luggage at the hotel, drive the short distance to the car park to drop you vehicle off. Then it's just a 5 minute walk back to the hotel. On the morning of your flight, it's just a case of crossing the road into the terminal. For a bit of VIP parking treatment, look no further than our Return Greet bundle. Before checking in at the hotel, stop at Skypark to park your car, then either walk to the hotel (which should take around 9 minutes) or take the 90-second shuttle bus to the terminal, then cross over the road to the hotel. The next morning make a beeline to check-in. When you get back from your trip there's no need to head back to the car park - your car will be ready for you outside the terminal for a speedy departure. You don't need to stay at an on-site hotel to enjoy a hassle-free hotel experience - we have a excellent selection of affordable off-site hotels near Liverpool airport that are just a short transfer away from the terminal. For a well-trusted, affordable hotel, just 5 minutes away from the terminal, look no further than the 3-star Holiday Inn Express. With spacious bedrooms, free wifi throughout, and a welcoming on-site restaurant you can't really go wrong. You'll be spoilt for choice when it comes to choosing a fuss-free parking option - you can bundle your stay with either: on-site parking, Long Stay parking or Return Greet parking. The 4-star Crowne Plaza, set within the old airport terminal building, is a wonderfully modern stopover while retaining a number of the fascinating, original features. The hotel has top notch facilities including complimentary access to a range of fitness, relaxation and beauty options at the David Lloyd Leisure Club next door, fantastic on-site restaurant and stylish bedrooms. Better still, it's only 10 minutes from the terminal. Parking is at the hotel which helps keep things effortless on the day of your flight. 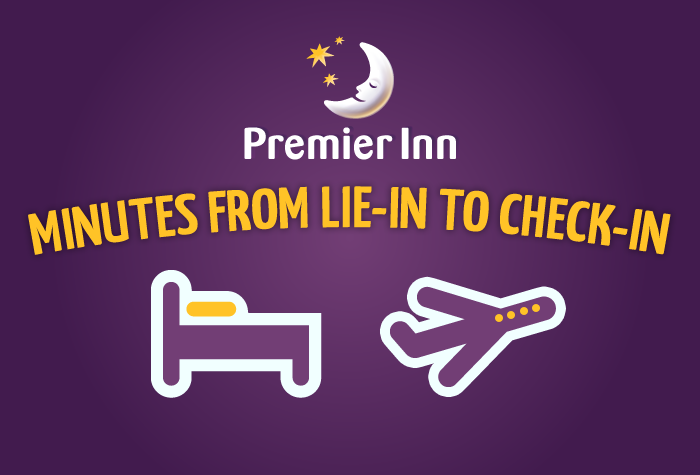 The Premier Inn at Liverpool airport is ideal for anyone who is looking for simple and affordable accommodation, where they can enjoy a peaceful night's sleep with all the essential facilities. Guests consistently praise the friendly staff, inviting on-site restaurant, spacious bedrooms and the free wifi throughout, so we're confident you won't be disappointed. Parking with this package is at the Liverpool Long Stay car park. You'll be able to park at the hotel overnight then make your way to the airport's own car park the next day. From there it's just a short walk to the terminal. At this 3-star Liverpool airport hotel expect superb facilities including a choice of bars and restaurants, health club with an indoor swimming pool and gym, and not forgetting the generously sized bedrooms. The Village Urban, just 10 minutes from the terminal, is the perfect place to get your holiday off to a relaxing start. When it comes to parking, there are two options: parking at the hotel and Long Stay parking. Both are great value and ultra convenient, providing simple transfers to the airport. You'll feel right at home at the 3-star Everglades Park - the bedrooms are stylish and spacious with free wifi and TV, there's some delicious dishes on offer at on-site restaurant and the staff are on hand to help. As well as being one of our cheapest Liverpool airport hotels with parking, it's also only 15 minutes from the airport! 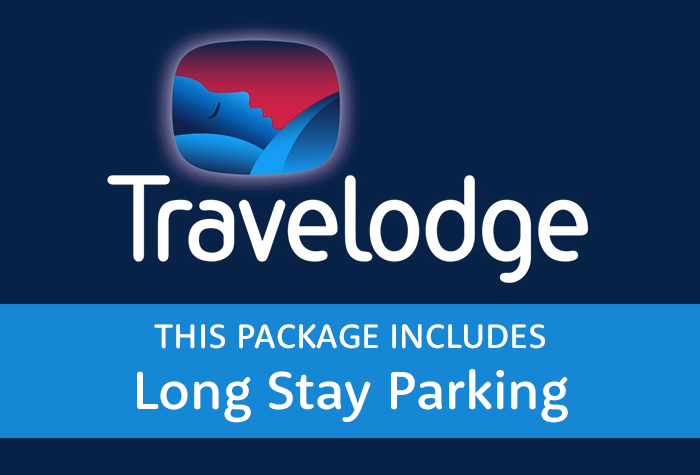 Pair you overnight stay with parking at either the hotel or parking at the Liverpool Long Stay car park to ensure everything runs smoothly on the day of your flight. A well trusted brand that's ultra affordable. Plus it's just a 3 drive from the hotel to the Long Stay car park at Liverpool, and from there it's a simple 4 minute walk to check-in. 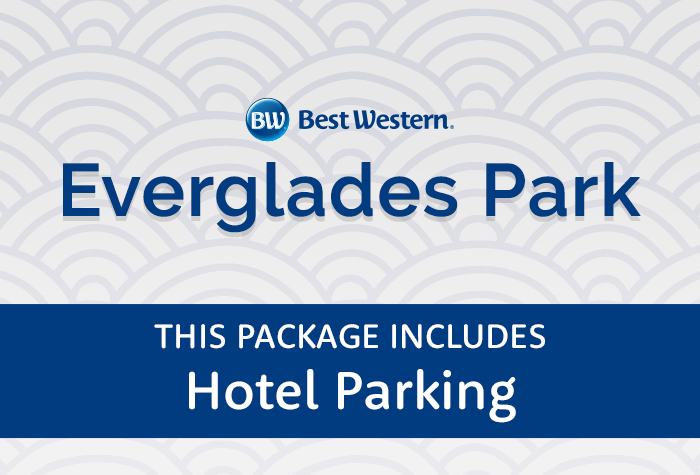 For a 4-star treat before your holiday with the bonus fuss-free parking. Leave your car at the hotel while you catch a taxi to the airport. It's a quick 10 minute drive and it's included in the price. The Holiday Inn Express is all about low-cost convenience; from the free breakfast to the secured on-site parking. The hotel is only a 5-minute drive to the Long Stay car park, then you're just a 4-minute walk away from the terminal. Boasting 3-star facilities and ultra convenient parking, it's easy to see why the well known and trusted Premier Inn with parking is one of our most popular Liverpool airport hotels and parking packages. On the day of your flight, make your way from the hotel to the Liverpool airport Long Stay car park, which will take just 3 minutes. Once you've parked up, it's a 4-minute walk to check-in - keeping things quick and simple. The 3-star Hampton by Hilton, housing great facilities such as a well-equipped gym and library, is the only on-site hotel at Liverpool airport, making it a highly convenient choice. 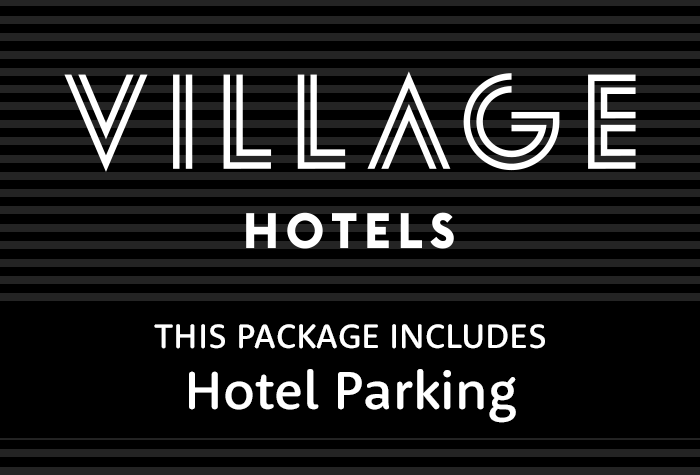 With this package you'll be pairing your stay with parking right next to the hotel at the Long Stay car park, ensuring your airport experience is completely hassle-free. With your car taken care of, on the day of your flight you're simply 50 steps away from the terminal. This great-value hotel is a top choice for holidaymakers looking for a comfy and fuss-free stay. From the inviting 3-facilities to the free breakfast, you're in good hands at the Holiday Inn Express. When it comes to parking, your car will stay at the secured Liverpool Long Stay car park within the airport grounds for the duration of your stay. On the day of your flight, drive the 5-minute journey from the hotel to the car park. Once you've found a space, it's a simple 4-minute walk to the terminal. All of our Liverpool airport hotels have on-site restaurants, ready to satisfy your appetite around the clock. From low-cost breakfasts to set you up nicely for your flight, light bites for lunch, or a delicious evening meal, we have a hotel at Liverpool airport that will suit your dining needs. At Airparks we are also proud to offer exclusive discounts on breakfasts and dinners, at selected hotels, so you have more to spend where it matters: your holiday. Fill up on bottomless fresh fruit, cereals, pastries and English breakfast items to kick-start your day. Continental options are served from 4:00am, while the cooked buffet starts at 6:00am - 10:00am. Wake up to a choice of continental options (cereals, yogurt, fruits and more), as well as freshly-prepared hot buffet items. Breakfast is available from 4:00am (hot items are added at 6:00am), perfect for those with an early flight. If you're in a rush, the hotel can provide handy paper bags and takeaway cups so you can enjoy your food later. For a tasty and varied low-cost breakfast look no further than Premier Inn. For just £8.99 you can enjoy a hearty all-you-can-eat cooked breakfast, and for £6.99 you can tuck into a continental buffet. To really help your holiday budget stretch further, up to 2 under 16s eat breakfast for free when 1 adult orders a cooked breakfast. Food is served between 6:30am - 10:30am. Village Urban serves up a great breakfast spread for a super affordable price; choose from a range of delicious cooked items and continental treats for just £9.95 for adults and £5.95 for children. For just £29, 2 adults will be able to indulge in a 3 course dinner when you pre-book with Airparks. Choose from a range of pasta dishes, fresh seafood, grill favourites and on Sundays there's even a carvery roast. As an added bonus children under 12 can eat for free from the children's menu. The restaurant is open, every night, from 6pm - 10pm. Book your meal at Everglades Park in advance with Airparks and 2 adults can enjoy a 3 course dinner for just £40. Serving from 7pm - 9:30pm, pick from a range of classic favourites off the hotel's daily specials menu. Dine at the 4-star Crowne Plaza in the modern and relaxed Starways Restaurant, and choose from tempting dishes such as 'roasted sirloin steak' or 'tomato and rosemary risotto'. When you pre-book with Airparks, 2 adults can enjoy a 3 course meal for just £50. This is a fantastic deal when you consider a main course costs around £15. Parking deal with overnight at Premier Inn - worked very well even though our return was on a later flight. Excellent.